The Russian Revolution is often depicted as a revolution of the people – but to what extent was this true? The Russian Revolution is a pivotal event in modern history. Along with the French Revolution of 1789, the Russian Revolution is one of the most studied, analysed and interpreted of all revolutions. The events in Russia between 1905 and 1924 have drawn the attention of thousands of historians and millions of students. These events shaped not just the future of Russia, but the future of Europe and the world. Without the Russian Revolution, the 20th century would have taken a radically different course. With no revolution, for example, the outcomes of World War II might have been different and the Cold War, a five-decade-long period of tension and estrangement between Soviet bloc and Western nations, would never have come to pass. The Russian Revolution has given rise to some significant questions. Was the revolution part of an inevitable process, as Marx himself claimed, or was it a response to conditions in Russia? To what extent were the revolutions of 1905 and 1917 popularly supported? In the case of the October Revolution, was it a popular revolution or simply an opportunistic coup? 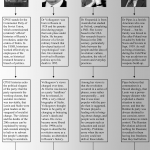 How successful was the new society created by Lenin and the Bolsheviks? Did they solve the problems they hoped to solve – and, if not, what stopped them? 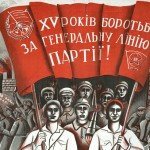 Was the October Revolution a revolution or a coup? A good deal of the historiographical debate about the Russian Revolution hinges on this question. In October 1917 the Bolsheviks, acting in the name of the Soviets, overthrew Russia’s Provisional Government. The Provisional Government was itself unelected but taken some steps towards forming and implementing a democratic government. Lenin claimed that the Bolsheviks had every right to seize power, citing Marxist theory and the backing of the Petrograd Soviet. Historians have formed different views about the Bolshevik seizure of power in October 1917. Most conservative or liberal perspectives condemn it as a coup d’etat, an illegal power grab carried out by a small group of radicals with no legitimate authority or popular support. 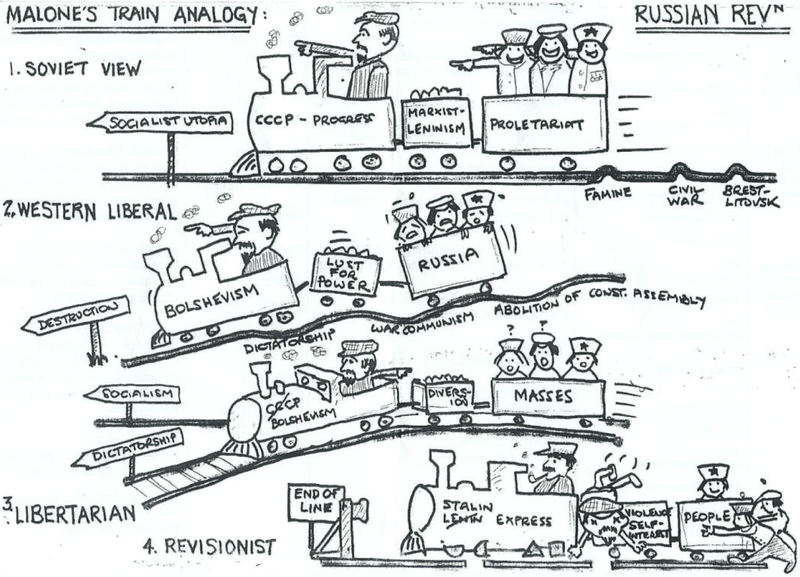 Richard Pipes, for example, attributes the October Revolution to the actions and manipulations of Lenin. According to Pipes, Lenin was the most significant source of unrest and was little more than a chance-taker who exploited the disorder of 1917 to hijack power. Official Soviet histories and many left-wing historians argue that Russia was ripe for a second revolution in 1917, and that Lenin was justified in seizing power on behalf of the Soviets. Did the revolution fail because socialism is a flawed ideology? 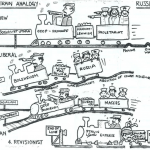 Liberal or conservative historians like Pipes, Robert Service and Martin Malia claim the Russian Revolution failed because its ideology was deeply flawed. Socialism, they argue, is an unnatural and unsustainable system that is always destined to fail. The problems of the new society in Russia were caused not just by human error or excess but by unworkable Bolshevik ideology. Marxist-Leninist socialism enjoyed negligible support from the Russian people, so implementing it required the Bolsheviks to use terror and coercion. A sizeable number of Russians, such as kulaks and black market traders, clung to aspects of capitalism – money, profit, property and the market – even when the new regime had outlawed such things. The economic order of Russian socialism was illogical and provided no incentive to peasants or workers. The Soviet government had little support and no moral base, forcing it to rely on coercion and violence to retain power and push through policy changes. Did the peasantry support or oppose the revolution? According to Vladimir Brovkin, the Bolsheviks were able to seize and retain power because the peasantry offered no resistance. The Russian peasantry was, for the most part, apathetic about matters of government and politics. Many peasants supported the land reform policies of the Socialist Revolutionaries (SRs) and voted accordingly in elections for the Duma and the Constituent Assembly. But the peasants had no real loyalty to the SRs or any other party, witness their lack of response when the Bolsheviks closed the Constituent Assembly. Most Russian peasants were insular and resistant to anything that disturbed their communities; they disliked the national government, bureaucrats, outsiders and new ideas. During the first months of Bolshevik rule, there was little trouble between the new regime and the peasantry. This changed dramatically when the Bolsheviks introduced war communism in 1918. Grain requisitioning, Lenin’s war against hoarding kulaks and Stalin’s farm collectivisation policies in the 1930s all brought the Soviet regime into conflict with the peasantry. Did Russia modernise and industrialise too quickly for its own good? The American diplomat and historian George Kennan argued that the Russian Revolution was brought on by modernisation. According to Kennan, decades of economic growth was not matched by social reform or political modernisation. The policies of Witte during the 1890s kick-started Russian industrialisation, which led to the rapid expansion of two classes: the industrial working class and the professional middle class. Both of these classes had considerable revolutionary potential: the workers sought improved conditions while the middle class demanded greater political representation. The tsarist autocracy was not intelligent enough to foresee these changes or competent and flexible enough to manage them. As a consequence it broke down under the strains of World War I. Theodore von Laue expanded on Kennan’s theory by pointing out that the industrialisation of the 1890s was not a natural or organic process triggered by a changing and modernising society; instead, it had to be initiated by Witte and funded by foreign loans and investment. Was the revolution really a popular uprising? The Soviet view of the revolution was articulated in ‘official’ state histories, published by the Communist Party of the Soviet Union (CPSU) in the late 1930s. They mirror Bolshevik values and statements and are almost entirely sympathetic to the party. 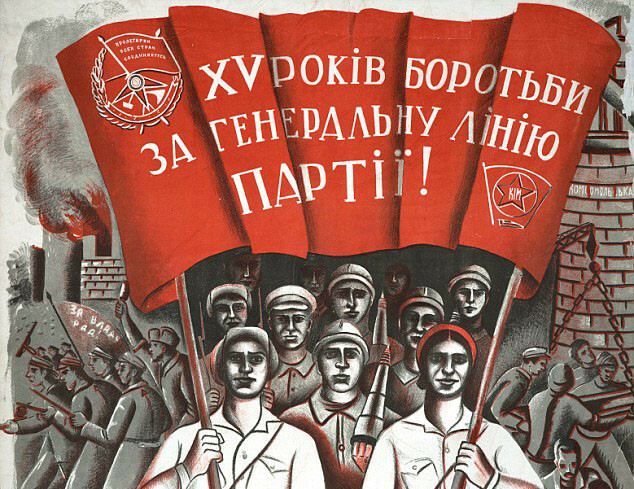 According to these Soviet histories, the Russian Revolution was orchestrated and led by Lenin and the Bolsheviks, on behalf of the working masses. Lenin and the party acted as the ‘vanguard of the proletariat’, overthrowing a corrupt bourgeois government while imbuing Russian workers, soldiers and peasants with ‘class consciousness’. The October Revolution was both necessary and inevitable. It also followed the principles espoused in Karl Marx’s theory of history. Contrasting views have been offered by libertarian and revisionist historians. Unlike Western conservative and Soviet histories, libertarian historians contend that Russia’s revolutions were driven and shaped by ordinary people, as much as by individual leaders. The revolutions of 1905, February 1917 and October 1917 were all genuine mass movements. The people who participated in them did so with their own interests and motivations in mind; they were not simply the slavish followers of Lenin or other leaders. Revisionist historians have reached similar conclusions by studying the writings and stories of ordinary Russians. Did the revolution fail because it was ‘unfinished’? A visualisation of four different perspectives of the revolution, created by Richard Malone and Trevor Sowdon. At the heart of libertarian histories are suggestions that the revolution was either ‘unfinished’ or betrayed. The theory of ‘unfinished revolution’ suggests that the Bolshevik seizure of power in October 1917 was a genuine revolution, demanded and supported by the proletariat. But the October Revolution was later diverted and betrayed, particularly after 1923 when Lenin’s ailing health forced him to withdraw from active leadership of the party. The idea that Stalin ‘betrayed’ Lenin’s revolution comes largely from Leon Trotsky and material he published after being exiled from Russia. In his 1936 book The Revolution Betrayed, Trotsky lays much of the blame for the failures of the new society at Stalin’s feet. Under Stalin, Trotsky wrote, the party has been purged of its talent, initiative and free spirit; “the old Bolshevik party is dead”. He criticises Stalin’s use of violence and repression, as well as the emergence of a gigantic state bureaucracy. 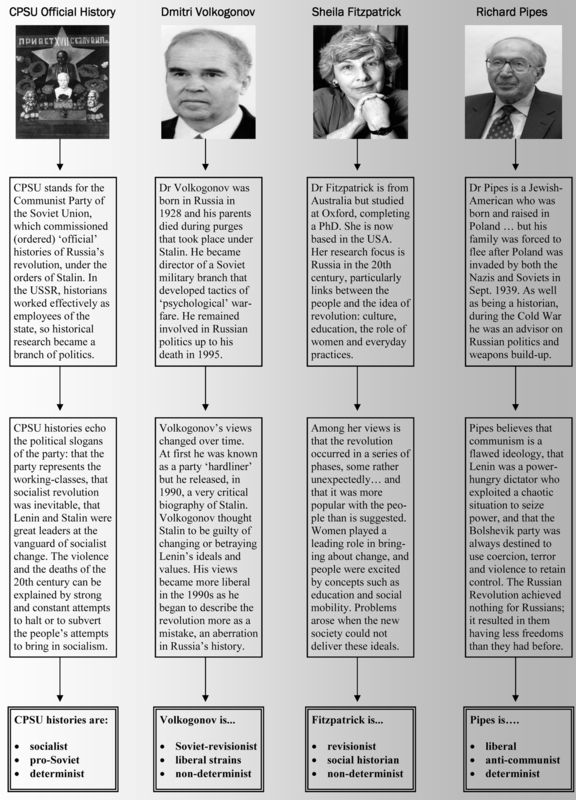 Liberal-conservative historians like Pipes respond by pointing out that these practices and institutions actually started under Lenin. For more information on specific historians, please visit our page on Russian Revolution historians. This page was written by Jennifer Llewellyn, Michael McConnell, John Rae and Steve Thompson. To reference this page, use the following citation: J. Llewellyn et al, “Russian Revolution historiography”, Alpha History, accessed [today’s date], https://alphahistory.com/russianrevolution/russian-revolution-historiography/.